I learnt to love reading when I was barely three. 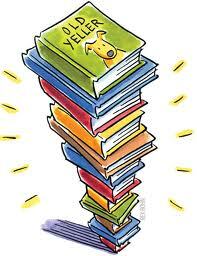 My mother taught me how to read, not with flash cards or fancy CDs, but by reading Dr Seuss’s Cat in the Hat and Go Dog Go every single day. I loved Cat in the Hat because of the funny drawings, and for some reason I also liked the cat’s springy, stripy top hat! Then I learnt to read and my poor mother had to hear me reading Sue Likes Blue all day long. Reading is very special to me. When I get grounded, it’s not ‘No TV for two weeks!’ or ‘Absolutely no computer for one month!’ but ‘No reading for the rest of the day!’ And when I don’t read, I get very, very cranky. Reading can take you to magical, fantasy places like Narnia and Hogwarts. When I’m bored, all I have to do is pick up a book. There are new adventures and new sights to see and explore. I mean, when I’m reading a good book, it’s almost like it’s real! My favourite books are Rick Riordan’s Percy Jackson series. When I first read them, I couldn’t put them down. For instance, take the first line of Percy Jackson and the Last Olympian: “The end of the world started when a Pegasus landed on the hood of my car.” How could you not keep reading? This series helped me learn about Greek mythology in a fun way. What I like most about his writing is that he is sarcastic, suspenseful and funny. The fights are more exciting than any computer game, and often the bad guys win. Most computer games are all the same; you shoot or punch people, you win, and they die. But every book is different in some way or the other. Even when I have read my favourite books a hundred times, I keep reading my favourite parts again and again. Television: Of course, you guessed it! Some kids in my class watch TV for three hours or more a day. Making a set time for TV will make a huge difference. My mom only lets me watch TV after 6.30 pm. Gadgets: I also don’t own any electronics. Sometimes you have to be tough and say NO to the requests for Wiis, iPods and laptops. My friends have all sorts of things but when I asked my mother, she told me to read a book instead. When my friends ask me why I don’t have an iPod, I just tell them that I read instead. They are so surprised that they are struck speechless. Not cool: Half of the boys I know think reading is ‘uncool’. When one of the students did a book report and won a prize for it, the other boys teased him about being a loser until he finally gave up reading for good, just to be part of the ‘cool club’. Sometimes other girls call me a bookworm, but I just ignore them. Encourage your kids to stand up to people like that. Reading is one of the coolest things ever. So boring: These days reading is a chore, something that has to be done, like eating vegetables or doing homework. 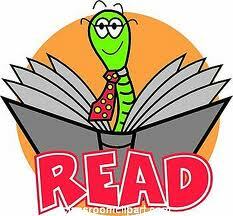 Don’t use flash cards or give long lectures about the importance of reading but make reading amusing and fun. One way to do it is to form a book club for your kid with one of their friends. Reading with a friend is always great fun. Parents who don’t read: Let your kids see you read. While parents are nagging their children to read more, they are watching hours of TV. So read in front of your kid and maybe they will try to copy you. Finally, sometimes kids don’t read because they don’t know what to read. Here is a list of my top 10 favourite books that most children my age will enjoy. So you see, it’s not that hard for anyone to love reading. Sometimes when a book is really exciting, I even read in the bath (which always ends up with the book soggy and the bathroom flooded). So be warned… Once someone starts to read, they can’t be stopped! Maya Patra is 11, lives in Bangalore and is a student of Grade 6 at Inventure Academy. Apart from reading, she likes to swim and draw.